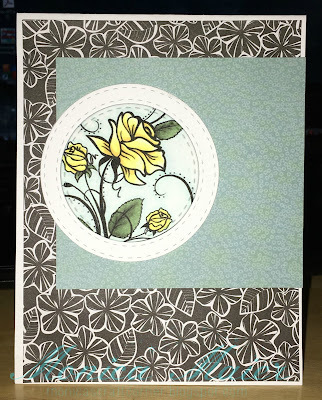 Today's card was a quick card that I made for the march CCC and my last card of the month for the Die Cut Diva's. I used this image from Bugaboo and colored it with copics. Used some stitched circle dies from Simon Says Stamp.